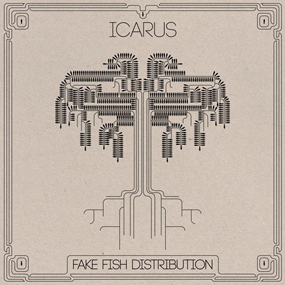 Icarus’ album, Fake Fish Distribution (FFD), uses generative and parametric software techniques to create 1000 unique records. FFD comes in the form of a vast array of structured variations on the album’s musical content, feeding unique versions to each unique listener. The album is available as a limited edition, via the normal medium of music distribution — the media file download — with each of the 1000 versions only being sold once and in sequential order. Upon purchase, you become the owner of that unique version. FFD is encoded as 320 kbps mp3 files, contains no digital rights management software. and will play in any digital music player able to handle mp3 playback.